I tend to gravitate toward books with PLOT, and although there's nothing wrong with a great narrative - in fact there's a lot RIGHT about it - it's healthy for me to enjoy a character-driven novel. 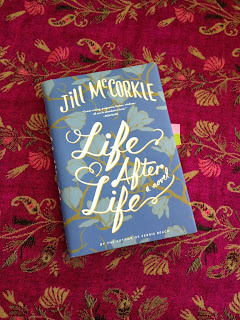 Enter Jill McCorkle's Life After Life. Although I finished it more than a month ago, and I'm just writing about it now, I actually read it very quickly. Imagine a set of concentric circles, or a web. Or maybe a whole bunch of Venn diagrams. With six main characters (and a supporting cast of a couple dozen), their lives are very much intertwined, even though they don't realize it. I've had a hard time figuring out how to write about it, because it's more like a collection of reflections from the characters. Something like Winesburg, Ohio, Our Town, or Olive Kittredge (at least structually-speaking. I don't think Life After Life is as much of "An American Classic" as Our Town). There's no straight line here. In fact, I would go so far as to claim that the reader oneself is tasked with adding everything up to create the plot. It's not about an event, it's about people navigating their lives, and how their life choices affect other lives - a ripple effect. The plot exists among the characters' thoughts, feelings, and actions. It's a puzzle, in which the picture forms through putting each piece in place. Joanna is the center of this collection of characters: a hospice volunteer associated with Pine Haven Retirement Home whose involvement in hospice is the fulfillment of a promise to a dying husband (with a twist). There's CJ, a single mom to a 6-month-old boy; she does hair, nails, and massages at the nursing home. Then there are the residents, some of whom we get to know more closely than others. One is cruel and spiteful. One is incredibly funny. Some are sad or forlorn. Some look back on their lives with fulfillment, others with regret. And in the outer circle, there are their adult children and their spouses, and their children, and a dog named Dollbaby who, even though she's absent through most of the book, she touches the lives of characters in each circle, playing an important role in revealing the true natures of several of them. This is a fast book. The language is straight-forward and conversational. I read a lot of it in a lounge chair (with toes in sand or grass) toward the end of the summer. This is good writing, but not a "heavy" read. Sorry fans, it's not a happy ending. And it's made even more tragic because WE understand so much more about the final denouement of the narrative than the characters themselves know, or will ever know. Unless she writes a sequel. There's a lot of unfinished business here! 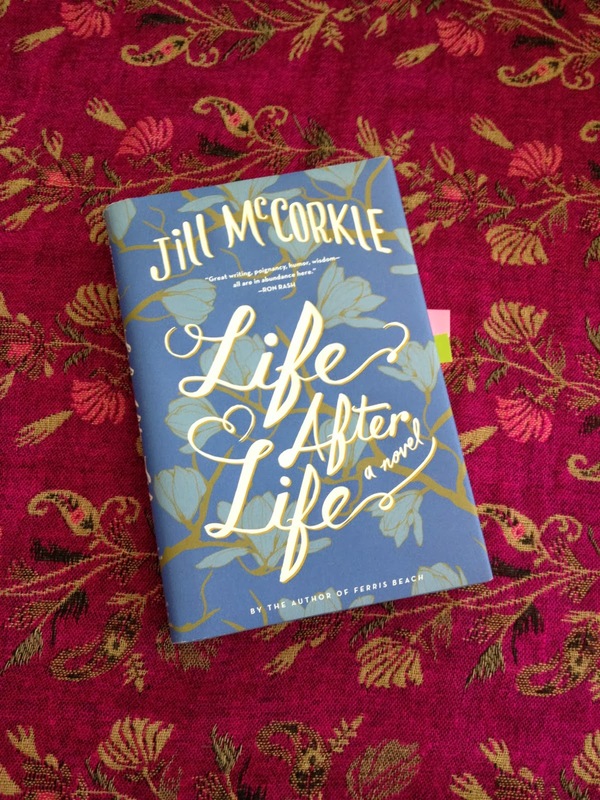 Note: I received a review copy of Life After Life from the publisher. Sounds great! Ive heard and read great reviews on this one. I can't wait to read it for myself.